The best part of these two subcategories of SINP is that you don’t compulsorily need any job offer to apply in any of the two. Moreover, the Occupation in Demand (OID) stream accept the applicants even with low language proficiency, i.e. CLB4. Also read– What Makes Saskatchewan the Easiest Canadian province to get permanent residency? The OINP belongs to the major and most vibrant Canadian province ONtari, which is home to some top cities of Canada including Ottawa, the capital city of the maple leaf country. The Express Entry Stream of OINP is largely popular among the foreign skilled workers willing to get Canadian PR visa. It helps the applicants to obtain 600 additional CRS points in express entry and subsequently, the Canada PR invitation. To select the best Provincial nominee program based on your profile and apply in the same you must take assistance from a genuine registered Consultancy service. You may rely on Visas Avenue immigration- the top and accredited consultancy service for Canada immigration and PR. 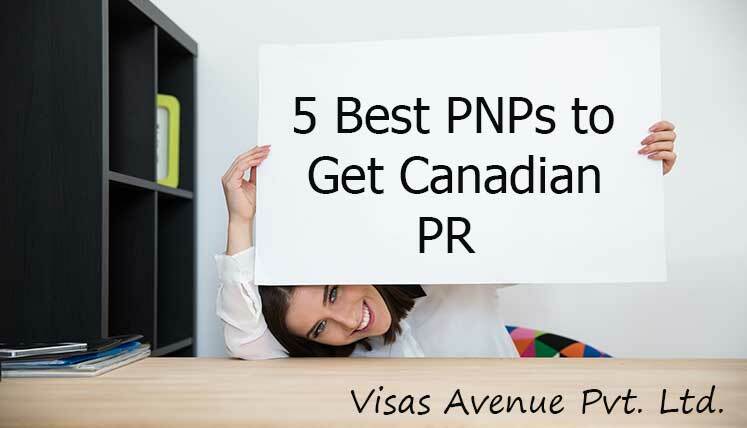 Call the expert at Visas Avenue today to prepare your file and start your PNP process. You may callVisas Avenue migration experts on Toll-Free Number- 78-18-000-777. Moreover, to get your eligibility checked and subsequently, receive a call from the expert, you may fill the free assessment form.